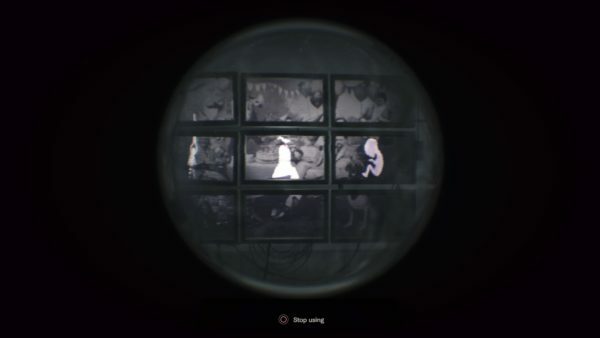 If you’ve played the Resident Evil 7: Biohazard demo, then you are already aware of the tapes used in the game to provide more story while also teaching the player how to get past certain puzzles and challenges. One such video, titled “Happy Birthday,” throws a poor soul into Lucas Baker’s Testing Area for a sick game that will determine his fate. You’re locked in the dark apartment of sorts with a creepy clown puppet, a candle, a birthday cake, and a waterwall. Your job is to place the candle, while lit, on that cake so you can get out alive. Of course, it’s not so simple as just walking up, so let us walk you through the fastest way to get this done. Grab the candle from the clown, then head left. Go through the kitchen and towards the cake where you’ll see a wall of water. Walk through this so it blows your candle out. Lucas will start talking over the loudspeaker as the entire area is lit up to help you explore. While he’s talking, head back to the clown and wait in front of the toilet directly to the left of it. Once Lucas stops speaking, you’ll be able to flush the toilet. Interact with the filthy water to find a dirty telescope. Head back to the wall of water and equip the telescope. Walk through the water while it’s equipped to clean off the lens. Now back up a few steps and turn towards the monitors that show a birthday picture, you’ll see a code. Head back into the room with the birthday cake to unlock the box on the wall, in which you’ll find a voodoo doll that says “YOU” on it. Before leaving the room, head to the wine barrel and take out the winding bit. Now go to the stove, turn it on, and light your candle. Also use the stove to burn the voodoo doll, leaving a finger for you to use. Take the candle and head over to the door near the monitors with the birthday picture. Burn the rope off the knob. Inside the room is a ton of balloons you can pop with the candle. Simply walk towards the desk, where you’ll find a yellow balloon on the ground beneath some regular balloons. Pick it up and exit the room. Next to the stove is an air pipe. Attach the yellow balloon to it and it will inflate, exploding into a bunch of nails and a calligraphy pen that impales you. Take all of the items you’ve collected to the clown puppet and give them to the puppet in this order: Finger > Pen > Windup piece. It will grab your arm and write a word on your arm: LOSER. Head back to the room with all the balloons and open up the locked door at the back using LOSER as the code. Grab the handle inside the room and return to the cake room. Just inside, directly to your left, is a spot to place the handle and turn off the water wall. Head back to the stove and re-light the candle and bring it to the cake room. After placing the candle on the cake it will explode, locking the entrance behind you and causing a huge fire. In order to actually complete the section, though, you must interact with the handle for the water. When it breaks, you’ll die and complete the video. It’s a lot of steps, but following them in this order will get you through the Happy Birthday tape quickly and bring you one step closer to beating Resident Evil 7. Also, do note that Lucas doesn’t change any of the passwords or anything, allowing you to skip straight to the room at the end for the gear, so you can just focus on the candle and the water.